Dr Macgroarty works closely with the following Anaesthetists, Assistants, Physiotherapists and Sports Physicians. Dr Melksham is a Specialist Anaesthetist with extensive experience in the area of Orthopaedic anaesthesia. Providing you with a range of anaesthetic services, including general, sedation, regional and spinal techniques, Dr Melksham tailors each anaesthetic for optimal safety and pain control. Dr Melksham graduated from medicine at the University of Queensland in 1993. Following 6 years of experience in intensive care, he underwent anaesthesia training at the Princess Alexandra Hospital, specialising in cardio-thoracic anaesthesia. His other areas of anaesthetic practice include obstetrics, gynaecology and fertility, ENT, faciomaxillary, urology, upper GI, endocrine, opthalmology and plastic surgery. He is a registered with the Australian Health Practitioner Regulation Agency (APHRA). His anaesthesia skills and knowledge are maintained through active membership of the Australian and New Zealand College of Anaesthesia (ANZCA), Australian Society of Anaesthesia (ASA) and the Australian Medical Association (ASA). Dr Matthew Kelso graduated 1997 with a MB BS(Honours) from the University of Sydney. Anaesthetic training was at Royal North Shore Hospital(Sydney) with a Provisional Fellowship at the Mater Hospital Brisbane focussing on regional and obstetric anaesthesia. He was admitted as a Fellow of Anaesthesia (FANZCA) in 2005. He currently works as a VMO at the Mater Hospital Brisbane and joined the Narcosia Anaesthetic Group in 2008 providing anaesthetic services across a broad range of adult and obstetric procedures within Brisbane. He has a keen interest in regional anaesthesia for Orthopaedic Surgery, particularly shoulder surgery. Dr Richardson is a specialist Anaesthetist with extensive experience in Orthopaedic anaesthesia. He is currently a member of the Wickham Terrace anaesthesia group. In addition to Orthopaedics, Chris has spent much time in his sub-specialty area of Cardio-thoracic anaesthesia making him comfortable with all complex and challenging cases. He is registered with the Australian Health Practitioner Regulation Agency (APHRA). Dr Joanne McNaught trained in Brisbane’s leading hospitals including the Mater Public, Princess Alexandra and Prince Charles. She is currently a VMO at Princess Alexandra Hospital and runs her private practice from St Andrew’s Anaesthesia. She is a member of the Australian Society of Anaesthetists. Jo is interested in Orthopaedic surgery, Gastroenterology, ENT Surgery and Upper GI. Richard is a Sports Physician specialising in sports, musculoskeletal and exercise medicine. He graduated from medicine at the University of NSW in 1996 and following further study became a fully qualified GP in 2001. In 2005 he completed his fellowship with the Australasian College of Sports Physicians. Richard is trained in the management of all sporting injuries with a personal interest in the football codes (Soccer, AFL, Union and League), basketball, swimming and track and field. He has completed research in Aprotinin for the management of tendon injuries. This is one of Richard’s interest fields. He currently consults to the Australian Wallabies, Queensland Firebirds and QAS Track and Field. Mark qualified in London in 1984. He spent many years in rural general practice in Alice Springs before undertaking his specialist fellowship training for the Australasian College of Sports Physicians at the Australian Institute of Sport, Canberra. He is currently the Medical Director of 3 National squads (Triathlon, Diving and Softball) as well as one of the appointed Queensland doctors to the Australian Track and Field team. Mark is interested in the rehabilitation of shoulder, hip and back injuries and has a special interest in tendon pathology. Mark also has a special interest in Cellular Biotherapies. Mark is a co-medical director of Qsportsmedicine. Dr Harte has been involved in the specialty of Orthopaedics since 1991. 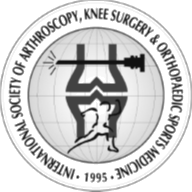 He has undertaken many years of non-accredited training in Orthopaedics in both Australia and Ireland. He has been a full time surgical assistant since 2003 with many of his sessions involving Orthopaedic assisting. Luke Van Every (The Shoulder Guy Physiotherapy) is a dedicated shoulder physiotherapy. His particular area of interest relates to sports shoulder injuries and interventions that help get athletes back on the sporting field in a timely manner. Luke trained locally at the Queensland University. He continues to be active in professional development and education incorporating both domestic and international shoulder physiotherapy courses. A recent trip saw him undertake a 2-week intensive program at the Manchester Shoulder Unit. He has also recently attended the Wrightington Hospital Upper Limb Unit’s Sports Shoulder Physiotherapy Conference. Lindsay Trigar Sports Physiotherapy Clinic has been established since 1988 and consists of a multidisciplinary team of sports physiotherapists, exercise physiologists, massage therapist and podiatrist. After successfully working with the Brisbane Broncos, Queensland Bulls, the Australian, Zimbabwe and Sri Lankan Cricket teams through the 90’s and early 2000’s, Lindsay’s continued involvement in sport illustrates his passion for sports physiotherapy. This is also evident by his active involvement in lecturing at Bond University and his research interests of managing shoulder and lower back injuries in young athletes. Lindsay and his team use the most up-to-date evidence-based practice to guide the treatment of clients, and strive to get the best results and outcomes by rehabilitating in the practice under quality exercise physiologist-guided supervision in their fully-equipped onsite gym. Lindsay has developed a close working relationship with Dr Kelly Macgroarty and together they aim to provide the best pre- and post-operative management of all orthopaedic shoulder and knee injuries. NB As a patient, you are able to choose health care providers of your choice and you are not restricted to selecting from the above list of providers. Please note however that the anaesthetists listed above are assigned to dedicated operating lists which are not negotiable. You are free to change operating lists if you would prefer a specific anaesthetist from the list of those highlighted above. The information provided about these health care providers is set out for your general reference only.